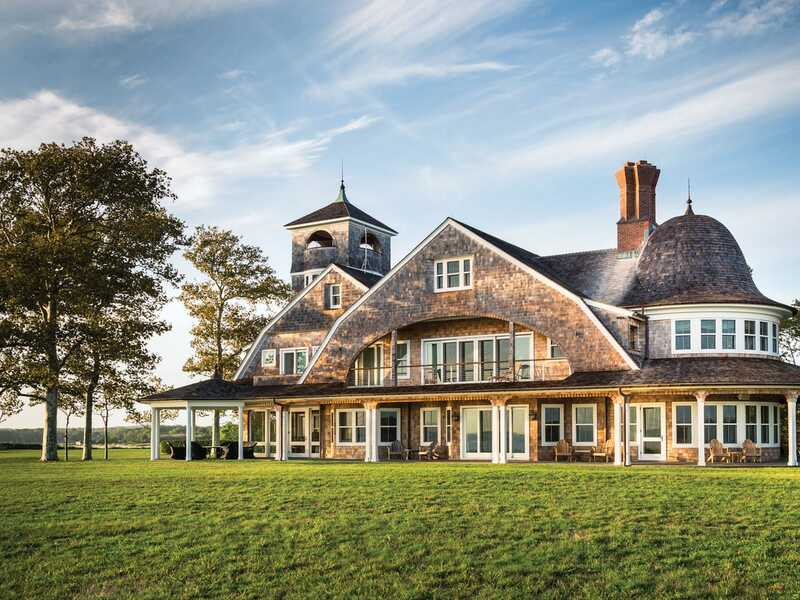 Local experts dig in for a talk on new construction in the Hamptons. Think you’ve seen some new houses going up next door? 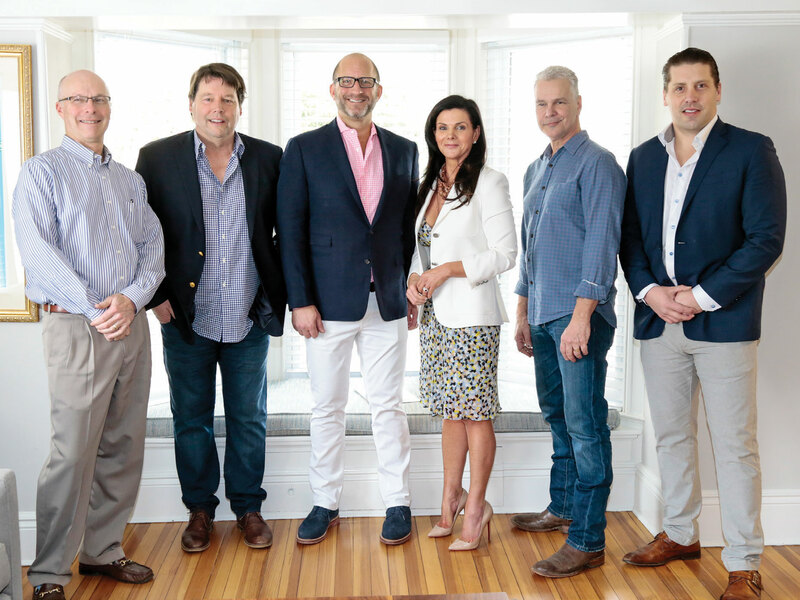 Our latest panel of real estate pros—architect John David Rose, interior designer Amy Hill, landscape contractor Dwight King, builder Frank DeVito, and brokers Matt Breitenbach and Evan Kulman—discusses the trend and what it means for the community. Is new construction more important this year? Matt Breitenbach: New construction is in demand. You see that across markets, even in high-end luxury markets. I’ve been seeing a change in style, though. The traditional home has evolved. People seem to be looking for something a little different, like more modern farmhouses. John David Rose: There was a time when clients wanted the biggest house that could fit on the property. And now that the less-is-more attitude has been adopted, they’re saying, ‘You know something, I don’t need 10,000 square feet.’ They really are quite comfortable in 3,000 and 4,000 square feet. Dwight King: We’re seeing a lot of modern homes in the woods, which look incredible. Or we’ve proposed grand gardens. We can do formal rose gardens. We can do all of that. And a lot of people want to know what the maintenance is. I mean, the numbers on these houses are astronomical on the maintenance sometimes. Frank DeVito: We never build the same house twice. We love to build something that fits the property. We don’t go after the client that wants a house two feet bigger. We like people who live life, so you’ll find zip lines, you’ll find fires and waterfalls all through our houses. We’re building our own little resorts. What’s the appeal of new construction? MB: It’s like buying a new car. It’s turnkey. It’s bring a toothbrush, you’re in. MB: And you don’t have to go through the whole process—the regulations seem to increase every year, especially on the waterfront. I had one on the ocean going on two and a half years that we finally got permits. FD: It’s almost like a concierge; they want it completely done. They would love us to say, ‘What size clothes do you wear? We can stock your closets.’ Because they don’t have time. They’re busy. They don’t want the decisions. Amy Hill: Somebody who’s going to have a house built wants their interior to be more curated rather than decorated. Somebody who’s going to walk into a spec home wants it to be decorated. Curating is something that looks like it was specifically picked out for that client. Something that may have happened over years, but we may have done it overnight. JDR: I compare it to buying a really good suit. There’s a chance you’ll pull it off the rack and it will fit perfectly, but the fact is, you’re going to spend that money on the suit, I want it tailored. I want the room where I want it. And not that spec houses can’t do these things, but a spec is designed for the masses. The goal is to sell it, where a custom-home builder is thinking long-term. They’re a part of the studs. What kind of technology are you putting into new houses? JDR: It has a lot to do with your threshold for pain. Because technology is very expensive. DK: We find almost every house today has cameras. I’ll get a call from a client: ‘Oh, your guys were at my house today. What were they doing?’ I didn’t even know they were at your house today. New homes mean new residents. How does that affect the community? AH: Well, the infrastructure, I’m sure we all feel that. What used to be that back road is no longer a back road anymore. But the upside to having new residents means people shopping locally. It’s great for our economy. MB: I sold a house to the NBA guy Jason Kidd, even though he left the community. The guy’s a Hall of Fame athlete; he’s like, ‘I love the pancakes at the Princess Diner.’ I was like, really? FD: The only [stores] that can afford Main Street now are branded companies that come in, put the big sign up in the fall, thank you for a wonderful season, see you next year, giving everybody local the finger. AH: You see more ‘experience’ stores coming in, because that’s why people would go in, rather than retail. That landscape is changing. EK: And people can do business, still, out here through technology. I’m seeing more people who have moved out here because it’s so easy to be anywhere, really, and still conduct business. JDR: They’re thinking about staying a season. So what does that do to the economy? What does that do to the schools that need to be expanded? What does it do to the emergency rooms when the children need to go, or to the congestion on the streets? It’s got to have some impact. But there isn’t a lot of vacant land. More times than not, we’re knocking down a home or renovating one.